COST: There is usually one set price for each event that includes all travel costs, and covers the entire party. Please EMAIL ME to obtain an individual quote. 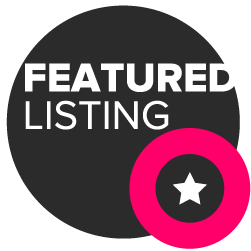 I offer a *Mid-week Discount* for Monday to Friday events, and a range of other discounts for clients booking more than 3 events per season. I am a professional, talented and experienced caricature artist & DIGITAL CARICATURIST/CARTOONIST, based in the South West. I have delivered top-quality art and entertainment to hundreds of clients in the UK and abroad. These included the Royal Military Academy, numerous casinos and many prestigious hotels. 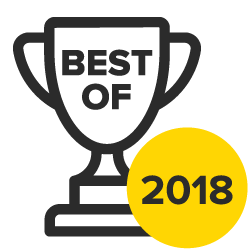 I specialize in a wide range of events - from friends-and-family events such as birthday parties and wedding receptions, to business events and music festivals. I can also offer LIVE DIGITAL CARICATURES. Chris was very accommodating. He was very happy to take pictures on his ipad to sketch or for people to sit for him. A successful addition to the tea party theme wedding reception. Thanks Chris for all the caricatures you did. Chris was brilliant at our wedding reception and our guests were so impressed with his work! He worked quickly and delivered hilarious (and amazing!) caricatures! I would definitely recommend him for entertainment at any event - excellent value for money! To secure your date, all you need to do is pay a deposit of £50. The bank details will be sent to you together with the booking form once all the details of the event have been agreed upon. The remaining balance can be paid in cash on the day/night of the event. For traditional drawings at events, all I need is two chairs, a small table, a good central spot and… that’s it! I will provide everything else, from drawing materials to the necessary equipment. Tip: it can be helpful to let the guests know about the act in advance, so they can get excited about taking part. For digital caricatures, I usually ask for a flat screen tv so the guests can watch the caricature-drawing live – but although this is a big part of the entertainment aspect, it isn’t essential! For traditional drawings at events, all I need is two chairs, a small table, a good central spot and… that’s it! I will provide everything else, from drawing materials to the necessary equipment. Tip: it can be helpful to let the guests know about the act in advance, so they can get excited about taking part. 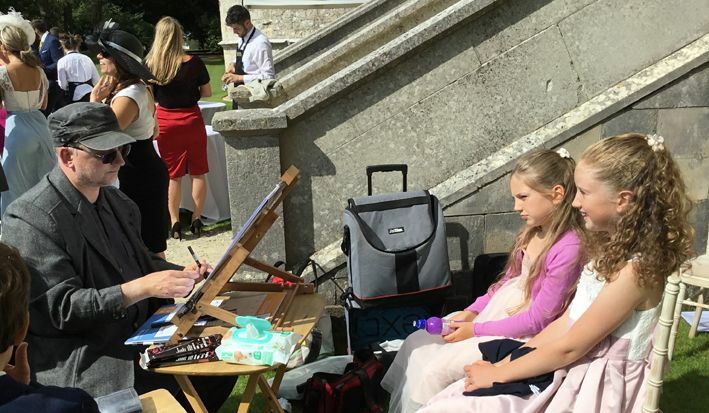 For digital caricatures, I usually ask for a flat screen tv so the guests can watch the caricature-drawing live – but although this is a big part of the entertainment aspect, it isn’t essential! You can customise your paper however you like, with the name of the venue, you company logo, the names or a small caricature of the bride and groom, or the date of the event printed on the top or bottom of the page. 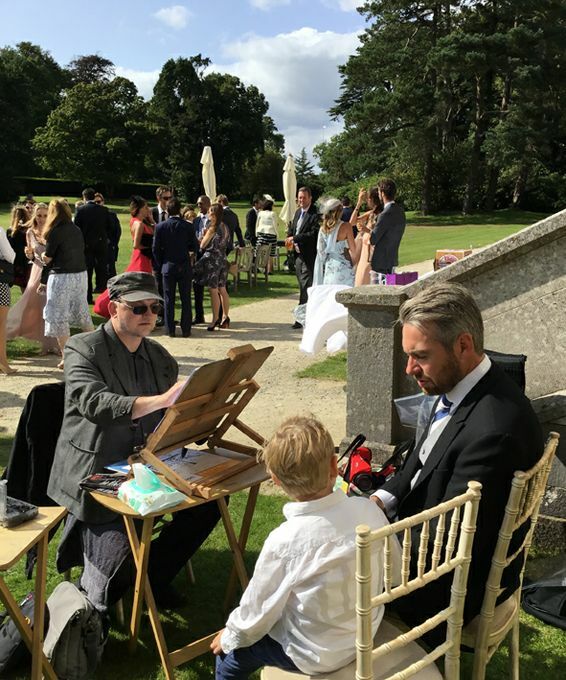 If the caricatures are in high demand at the party (which happens very often), I always ensure that everyone queuing for a drawing receives one, even if I have to stay on for longer than planned. This means that you get your money’s worth, and nobody gets left out. The act usually lasts around 2-3 hours, depending on the number of guests. I can advise on the appropriate time slot at the time of booking, once I know more about your event and the number of people attending. With each caricature taking just 5-10 minutes to draw, I can produce up to 12 drawings in an hour. It’s a speedy process, so your guests never have to wait long for their turn, or worry about missing out! Each one of your guests will receive an A3 caricature drawing ready to be framed, and complete with a clear plastic sleeve for protection – a perfect memento of a night to remember. I can offer you great pictures and great fun, and a lot of laughter for the most competitive price! Capturing the likeness is what I do best. You can customise your paper however you like, with the name of the venue, you company logo, the names or a small caricature of the bride and groom, or the date of the event printed on the top or bottom of the page. If the caricatures are in high demand at the party (which happens very often), I always ensure that everyone queuing for a drawing receives one, even if I have to stay on for longer than planned. This means that you get your money’s worth, and nobody gets left out. To secure your date, all you need to do is pay a deposit of £50. The bank details will be sent to you together with the booking form once all the details of the event have been agreed upon. The remaining balance can be paid in cash on the day/night of the event. For traditional drawings at events, all I need is two chairs, a small table, a good central spot and… that’s it! I will provide everything else, from drawing materials to the necessary equipment. Tip: it can be helpful to let the guests know about the act in advance, so they can get excited about taking part. 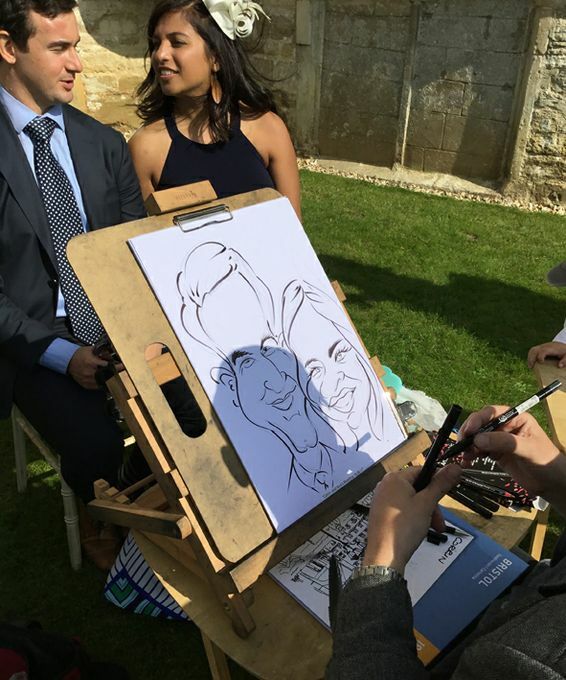 For digital caricatures, I usually ask for a flat screen tv so the guests can watch the caricature-drawing live – but although this is a big part of the entertainment aspect, it isn’t essential! CAN YOU DRAW FROM PHOTOS? Yes. During events like dinner parties or wedding receptions where the guests are likely to be busy eating or socialising, drawing from photographs is often a good idea. With their permission, I take a photo of the guests with an iPad Pro, and draw remotely from photographs. ARE THE DRAWINGS FREE, OR DO YOU CHARGE PER PERSON? The guests don’t have to pay for the drawings. Each caricature I draw at the event is included in the original booking fee, so people can enjoy the act and receive a caricature as a keepsake at the end! Yes. 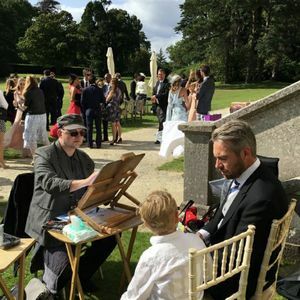 I have a lot of experience working with children – in fact, the live caricature act is the perfect entertainment for kids’s birthday parties, or a way to entertain children at weddings or big family events. I am DBS-checked, have full Public Liability Insurance, and my act is guaranteed to amuse children and adults alike. The act usually lasts around 2-3 hours, depending on the number of guests. 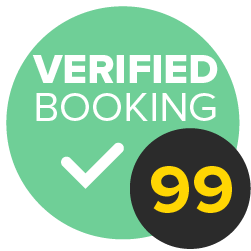 I can advise on the appropriate time slot at the time of booking, once I know more about your event and the number of people attending. I am DBS-checked, have full Public Liability Insurance, and my act is guaranteed to amuse children and adults alike. Yes. 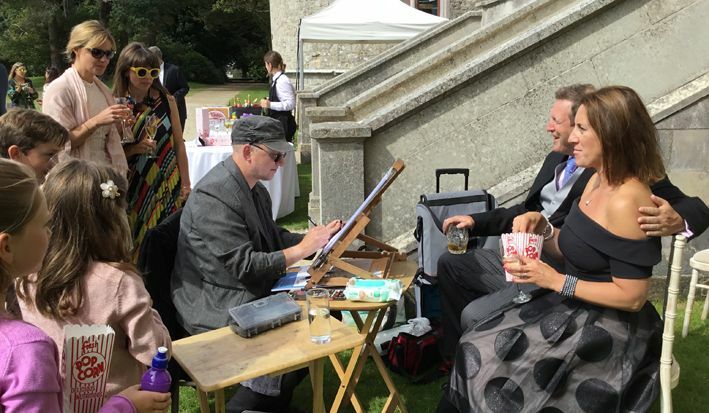 If the caricatures are in high demand at the party (which happens very often), I always ensure that everyone queuing for a drawing receives one, even if I have to stay on for longer than planned. This means that you get your money’s worth, and nobody gets left out. You can customise your paper however you like, with the name of the venue, you company logo, the names or a small caricature of the bride and groom, or the date of the event printed on the top or bottom of the page. Each one of your guests will receive an A3 caricature drawing ready to be framed, and complete with a clear plastic sleeve for protection – a perfect memento of a night to remember. I can offer you great pictures and great fun, and a lot of laughter for the most competitive price! Capturing the likeness is what I do best. You can customise your paper however you like, with the name of the venue, you company logo, the names or a small caricature of the bride and groom, or the date of the event printed on the top or bottom of the page. I usually do 2 or 3 hours.